Workload automation software is used to streamline and automate IT processes related to job scheduling, batch processing or other repetitive tasks. These tools centralize control over business processes across mainframe, cloud, and and cloud computing systems. Companies use workload automation software to manage, schedule, and optimize workload processes. These tools can streamline business processes and, in effect, simplify planning, increase efficiency, and cut costs. There is relation between workload automation and robotic process automation software. While the concepts seem similar, the two solutions typically function in tandem. RPA tools are used to build workflows and deploy bots to automate workflows across third-party applications. Workload automation typically does not support the development of workflows, they simply run the designated actions. Workload Automation reviews by real, verified users. Find unbiased ratings on user satisfaction, features, and price based on the most reviews available anywhere. Launched in 2009, Turbonomic is one of the fastest-growing technology companies in the virtualization and cloud management space, trusted by thousands of enterprise organizations to maximize the value of their IT investments. Turbonomic workload automation for hybrid cloud environments delivers enterprise organizations with automation that enables on-premises and public cloud to self-manage in real-time, thereby assuring application performance while lowering cost and maintaining compliance with business policies. The platform matches workload demand to infrastructure supply, helping customers maintain a continuous state of application health. Customers such as AT&T, Travelport and Thomson Reuters, use Turbonomic to automatically assure that their applications always get the resources they need to operate reliably, while utilizing their most valuable infrastructure and human resources most efficiently. The Automate platform is a scalable enterprise automation solution designed to meet the needs of any organization. From robotic process automation to backend integration with existing applications, Automate provides the solutions that help businesses increase operational efficiency and streamline processes. Automate software robots are quick to configure and easily scale alongside your business. Whether you are looking for basic RPA software to manage your first automated tasks or an enterprise-class solution to support DevOps and cloud automation, the Automate platform can help you meet your current and future objectives. Automate is powerful and flexible, with the ability to automate almost any business or IT process. Rely on Automate solutions to maximize ROI and save time for the work that moves your business forward. ActiveBatch® by Advanced Systems Concepts is redefining the way organizations approach IT Automation with an architectural strategy that minimizes the complexity and expense of developing and maintaining custom scripts. Analyst research states that most organizations have 3-8 scheduling and automation tools in place. ActiveBatch breaks down these silos of automation by providing one single, coordinated solution with integrations for key applications, platforms, and technologies, as well as automation capabilities for business processes, IT processes, cloud, big data, and more. CA Automic Workload Automation gives you the agility, speed, visibility and scalability needed to respond to the constantly changing technology landscape. It centrally manages and automates the execution of business processes end-to-end; across mainframe, cloud and hybrid environments in a way that never stops even when doing an upgrade to the next version. CA Workload Automation CA7 is a workload automation solution, by automating many of the labor-intensive tasks associated with workload automation and monitoring for z Systems. It helps to development from existing processes, and automates complex performance management to respond faster to changing SLA requirements. Micro Focus Operations Orchestration (HPE OOO) is an IT process automation and runbook automation solution. ASG-TMON® PA allows you to collect both physical and virtual performance and capacity data across the enterprise and analyze it automatically—making it easy to see where your problems are, where you can improve performance, and to assess what needs to be done to improve your overall IT utilization. ASG-Zeke provides wide ranging functionality, including system command scheduling, automatic variable calculation and substitution, step-level condition code validation, workload balancing, schedule forecasting and simulation, SAF security, optional SMP/E support, simultaneous support for multiple JCL libraries, electronic vaulting capabilities, pre-built calendars, and other utilities. Achieve a scalable, predictable, automated infrastructure. Build a next-generation data center with a software platform that's as agile as your business demands. IBM Spectrum Scale is a multi-protocol, high-performance, highly available, clustered file system and associated management software. IBM Spectrum Scale can scale in several dimensions, including performance (bandwidth and IOPS), capacity, and number of nodes (instances) that can mount the file system. IBM Spectrum Scale addresses the capacity and performance requirements to support modern scale-out applications such as AI/ML/DL with multi-cloud support. The latest version of IBM Spectrum Scale delivers an unprecedented, world-class level of performance for file storage. The improvements were driven by the demands of providing the storage software for the world’s most powerful supercomputer, the US Department of Energy Summit system at the Oak Ridge National Laboratory. Those same innovations are now available to commercial customers, and include major improvements across the product, including performance, space efficiency, improved installation and setup, more powerful GUI and improved security to help organizations address new regulations such as GDPR. IBM Spectrum Virtualize provides an ideal way to manage and protect the volumes of data organizations use for big-data analytics and new cognitive workloads. Oracle Orchestration Cloud Service enables automation of tasks executed at hyper-scale by calling REST endpoints, scripts, or 3rd party automation frameworks. Oracle Orchestration Cloud Service seamlessly executes these tasks on-premises, in the cloud, or across hybrid cloud environments. This service is built on Oracle Management Cloud's secure, unified big data platform. Robot Schedule is IBM i batch process automation software that uses event-driven job scheduling to streamline job flows and make processing more efficient. Stonebranch is a modern, efficient automation solution to drive immediate business processing manageable from any web-enabled device. A-AUTO is a task management software that helps workers to manage their job and workload automation. It helps businesses to run in a more efficient and productive speed. 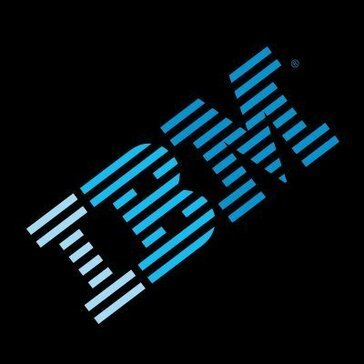 The ASG-TMON family of products offer a range of software products for the IBM z Systems platform. Power your critical business applications across the z/OS and z/VSE enterprise with ASG-TMON providing comprehensive products that monitor and manage the health, availability and performance of your system and subsystem resources. Each Performance Management module provides affordable, pragmatic options for ensuring that your business’s application investments continue to return value. Innovative integration between tools facilitates greater efficiencies for improving Mean Time To Resolution, MTTR. ASG-Zena is a robust, enterprise-wide workload management solution for distributed operations environments that support “event-based” scheduling as well as traditional time and date-based scheduling methodologies. ASG-Zena provides non-invasive integration of legacy applications, ERP, and newer, “message aware” environments such as .NET and J2EE that offer advanced IT process automation. From a single console, users can manage workloads and several scheduling points across multiple platforms, including Windows , as well as multiple UNIX and Linux operating environments and on the AS/400. ASG-Zena improves efficiency and reduces costs. It also offers exception-based management, a highly scalable component-based architecture, fault tolerance, role-based security, and graphical drag-and-drop workload definition. 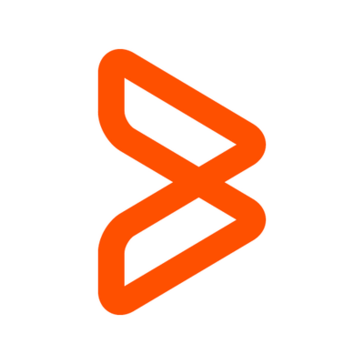 Brytlyt is an advanced GPU Database & Analytics Platform combining performance with ease of use, scalability and more. CA JCLCheck Workload Automation helps organizations validate JCL accuracy before a job goes into production. Load-based scaling, schedule-based scaling, dyno crash recovery, for web and worker dynos. The HyperCloud™ Portal is a complete multi-cloud management platform which simplifies and supports workloads deployed on containers, VMs, or bare-metal, on any infrastructure or cloud and across clouds. Security, governance, and control, is delivered consistently, across 18 public and private clouds. It includes self-service resource provisioning, application automation and orchestration, and DevOps management with pay-as-you-use pricing. Finally, if resources are needed, HyperGrid offers computer, storage and networking, delivered as a service, on-premises. IBM Spectrum Conductor with Spark enables you to deploy Apache Spark efficiently and effectively, supporting multiple versions and instances of Spark and a broad set of born-in-the-cloud application frameworks. It increases performance and scale, maximizes usage of resources and eliminates silos of resources that would otherwise each be tied to separate application implementations. When combined with IBM Spectrum Scale, IBM Spectrum Conductor provides a highly scalable data- and application-optimized fabric that allows you to access, analyze and protect your data with maximum efficiency, fast deployment and simplified management. OpsRamp - View and control your entire IT infrastructure by automating management, optimizing availability, performance and capacity to drive unified IT operations from a single pane of glass. The Terma Suite of Products are designed to work together to address the need for analytics based on the huge volume of data generated by the underlying workload automation engines. ThruPut Manager automatically and intelligently optimizes batch processing. By balancing workload and improving batch throughput, ThruPut Manager delivers significant savings in software license fees and monthly licensing costs (MLC), and may allow you to defer expensive hardware upgrades. WorkloadWisdom validates workload performance, using the company production workload data, and assures software updates and changes will not degrade the company production deployments. Hi there! Can I help you find the best Workload Automation solutions?